Propolis is a natural material that honeybees produce from resinous secretions of the plants and wax. It is used from bees to protect their hive from adverse external conditions and pathogens. Because of the bioactive compounds included in propolis, it is used as therapeutic agent. The medical applications of this bee hive product led to an increased interest in its production and chemical composition. In this research, propolis samples collected during the whole active beekeeping period for three years and the variations caused to season and type of collection investigated. Parameters such as the yield per hive, the wax content, the dry matter, the total phenols and antioxidant activity of the extracts were evaluated. The results showed a strong seasonal variation, with the maximum production have been recorded between May and July. Bees collect/produce more propolis during the warm periods of the year because of the viscosity of the resins. When they need more product, bees cover the scarcity of the resinous material using more wax. Quantitative and qualitative variations were found between the two different propolis traps and among bee hives in the same apiary. Moreover, propolis samples were collected from different regions of Greece and the antioxidant activity and total phenolic content of their alcoholic extracts were compared. High variance in the studied parameters was observed among the samples. The collection and quality of propolis is related to the local flora as well as to the beekeeping practices. ISNAD TANANAKI, C. , THRASYVOULOU, A. , KANELIS, D. , LIOLIOS, V. . "Quantitative and Qualitative Variations in Propolis Collection". 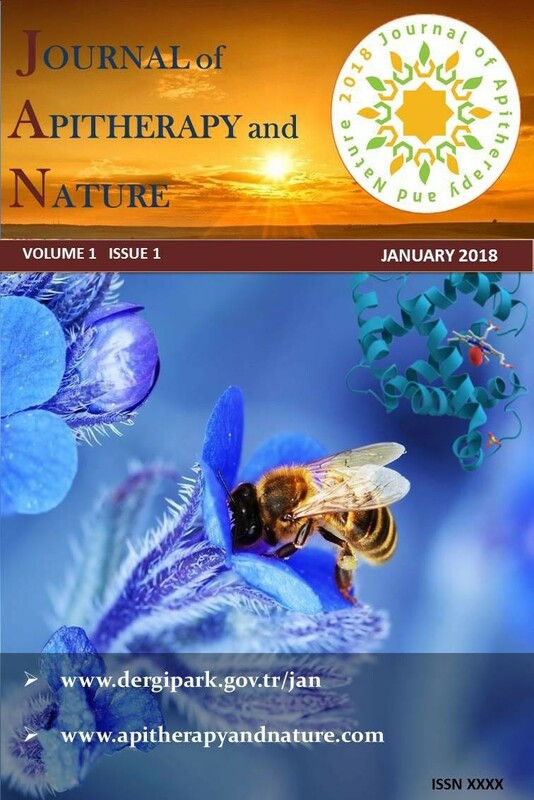 Journal of Apitherapy and Nature 1 / 3 (December 2018): 72-72.